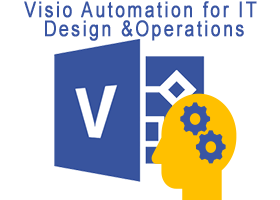 I am pleased to announce that I will be co-hosting a free event at the new Microsoft Reactor in Shoreditch on 25th April, aimed at showcasing Visio automation for IT design & operations. You can find more details and sign up here. Visio Online is now generally available! You can read more about it here , but what does it mean? Well, if you have Visio Pro for Office 365 (like me) then you should find that it is now converted to Visio Online Plan 2, which includes Visio Online as well. Visio Online Plan 1 does not include Visio Pro for Office 365, but these users can view all Visio documents, and can also create and edit simple ones (see the FAQ for more details). Selecting a New / Visio Drawing in my Office 365 tenant now opens a Basic Diagram in Visio Online. I can then choose to create a diagram from a different template using File / New.